With 17 Sustainable Development Goals (SDGs), the 2030 Agenda offers a comprehensive plan to combat some of the biggest global challenges such as poverty, hunger, inequality, unrest, unsafe migration, climate change, and weak institutions. The agenda clarifies that the transformation of our world necessitates a strengthening of parliaments, human rights, democracy, political participation, participatory decision-making and good governance. The political framework of the agenda is focused on sustainable, human development ensuring a life of dignity for all. The 2030 Agenda overcomes the dichotomy between visionary, fundamental statements and operational, practical sustainability goals. The agenda recognizes the essential role of parliaments and parliamentarians in the effective implementation of the SDGs and calls on them to enact the agenda’s transformative program. Parliaments and MPs must accept their responsibility for the implementation of the 2030 Agenda and SDGs and recognise their importance for their country and the planet. This must be accompanied by awareness-raising through parliamentary debates, the election of agenda officers or the establishment of parliamentary intergroups serving as agenda focal points. The implementation of the 2030 Agenda and the SDGs requires a holistic approach that integrates economic, social, environmental and political dimensions of sustainable, human development (the agenda quadrangle). A close relationship must be nurtured between human rights, democracy, good governance, the rule of law and an enabling environment at national and international levels, on the one hand, and the implementation of the 2030 Agenda and SDGs on the other. Political parties, though not mentioned in the agenda, should integrate the SDGs as important, priority objectives. Parliaments must play an essential role in integrating SDGs into corresponding laws or legal frameworks and ensuring the legislative implementation of SDGs. In budgetary matters relevant to the SDGs, parliaments bear a responsibility to provide adequate funding. Through binding timetables, they must ensure that their commitments to official development assistance (ODA) are respected. Additionally, ODA needs an agenda-compatible transformation. Realizing gender equality and the empowerment of women and girls is vital to all goals and targets. According to SDG 5, women’s full and effective participation, and opportunities for leadership at all levels, must be ensured. In SDG 16, it was agreed that effective, accountable and transparent institutions must be established at all levels and that a responsive, participatory and representative decision-making process must be prioritised. Development policy should support efforts towards the two objectives, as well as the building of strong democratic parliaments. Parliaments must ensure accountability for the effective implementation of promised commitments and in supporting review processes of progress at national and subnational levels. Parliaments should follow SDG 17, and strengthen and revitalize the Global Partnership for Sustainable Development – including the enhancement of policy coherence for sustainable development. This must involve a range of inclusive and representative actors, from the local to the global level. Parliaments are essential for the creation of a political general will. They are important agents involved in the implementation of the 2030 Agenda and its SDGs. This is not only the case at the national level, but at the international level as well. The European Parliament, for instance, needs to set the 2030 Agenda as an important framework for the external relations of the European Union (EU) and should push the EU’s pioneering role in the promotion of a rules-based, open, non-discriminatory and equitable multilateral trading system (SDG 17.10). The African Union’s Pan-African Parliament, to provide another example, should advocate for sustainable industrialization (SDG 9) and call for peaceful, inclusive societies for sustainable development (SDG 16), among other things. Finally, informal parliamentary side-events at the High-Level Political Forum (HLPF) that is entrusted with reviewing the progress of the 2030 Agenda are not sufficient. The most noble task of a new standing United Nations Parliamentary Assembly would be to critically accompany the implementation of the 2030 Agenda throughout the UN system and UN member states. SDG 16 says that effective, accountable and transparent institutions and representative decision-making need to be achieved “at all levels.” Consequently, this needs to include the international level and strengthens the case for adding a parliamentary oversight body to the UN itself. Prof. Dr. Uwe Holtz is a lecturer at the Department for Political Sciences and Sociology at the University of Bonn. 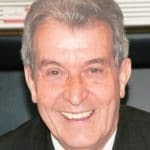 As an MP (1972-1994), he was Chairman of the Development Cooperation Committee of the German Bundestag from 1974 to 1994 and a member of the Parliamentary Assembly of the Council of Europe from 1973 to 1995 as well as active in the Inter-Parliamentary Union between 1973 and 1992.